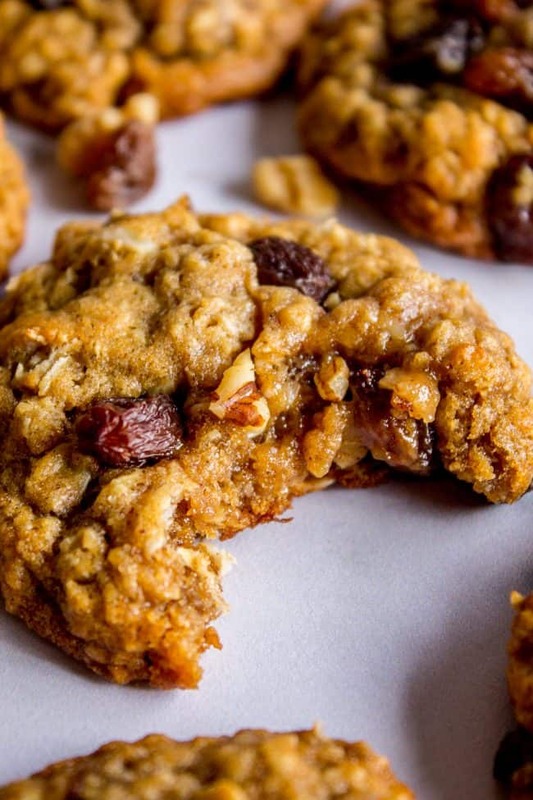 The very best oatmeal raisin cookies you will ever have! 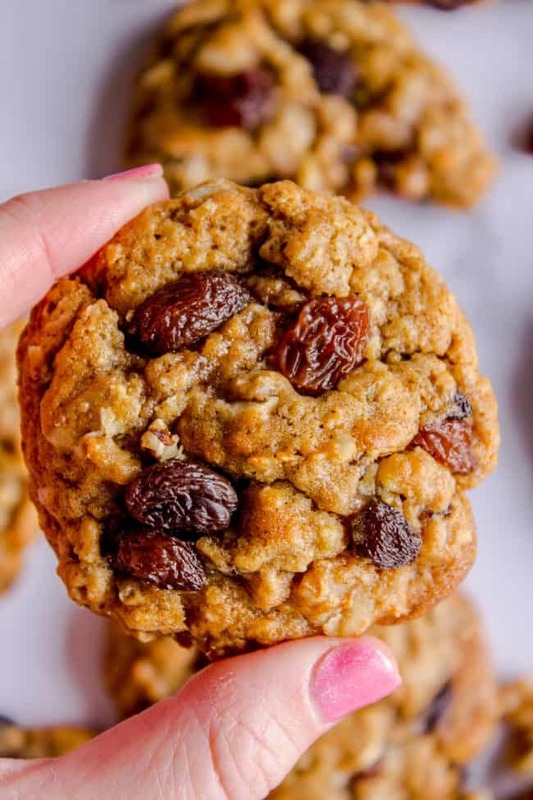 They are soft and chewy and I promise you will NOT be wishing those raisins were chocolate chips. (I know you) The trick is to plump the raisins in boiling water, and then add a bit of molasses to the cookie dough. 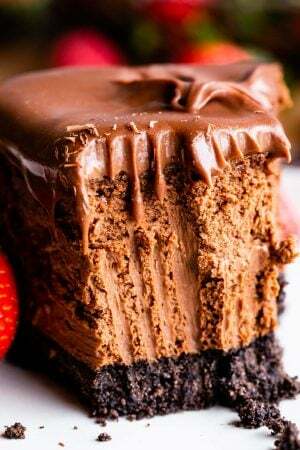 It’s to die for! There’s a new sheriff in town around here, folks. That’s what my new parenting book says to tell my children, anyway. Reading a new discipline book is always a sure fire way to shake things up when parenting gets too boring (har, har). The book basically eschews all the “psychobabble” from the 1960s and tells you to parent the same as your great-grand parents did. (Minus the belt) Lots of common sense. No BS. It’s right up my ally, so no surprise I love it. No surprise, my kids are hating it. My son Truman should really be loving our new discipline regime, because he’s basically an 80 year old at heart. His favorite food is Brussels sprouts (no lie). He will not eat cake. He does not like sugar cookies or anything too sweet. He loves to snack on nuts. He will eat a chocolate chip cookie, but only one. These oatmeal raisin cookies, though? He can pound them down. “These are really good, Mom.” Why thank you, child from 1945. 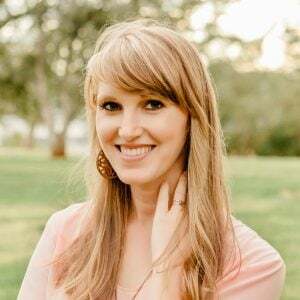 I saw this joke on Pinterest a while back, “Oatmeal raisin cookies that look like chocolate chip cookies are the main reason I have trust issues.” I used to feel exactly the same way, but oh how the times have changed! Why do we have such a bias against raisins these days?? They are so good. Well, I should qualify that. Raisins are just okay, until you soak them in boiling water for a few minutes. Then they are AMAZING. Plump and juicy raisins are so delicious and pop-able. You will have to stop yourself from eating them all before you mix them into the cookies. The other secret to making these the BEST oatmeal raisin cookies is to add a bit of molasses to the dough. It totally amps up the flavor in the best, deepest, blackstrappiest way. A little pinch of nutmeg in addition to the cinnamon helps too. I like to use a combination of quick oats and old fashioned oats in these cookies, but you can use one or the other if you like. Either way will work. 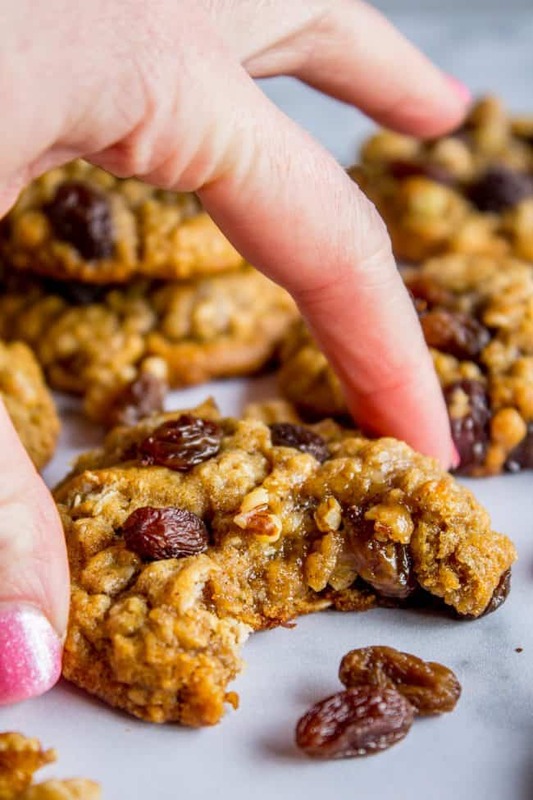 Most oatmeal raisin cookies call for less flour and more oats than this recipe, but I tested this multiple times and am in love with the texture of the recipe as written. I don’t want a granola bar, I want a COOKIE, thank you very much! 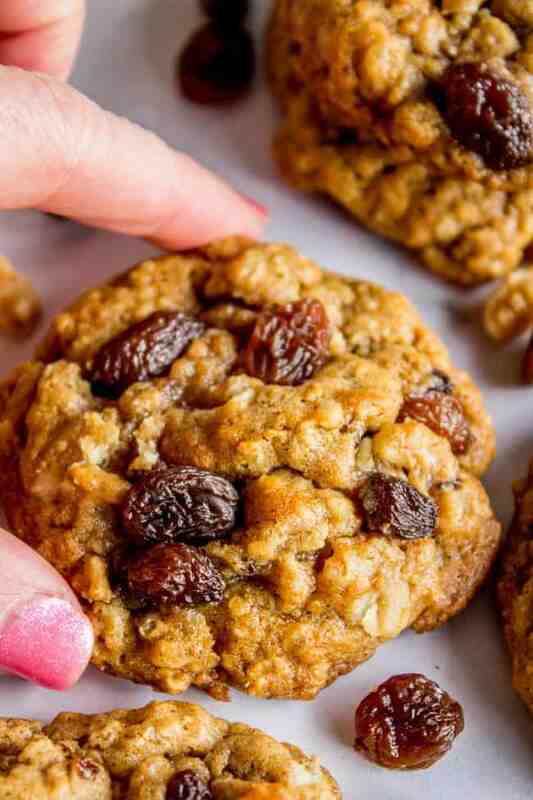 The very best oatmeal raisin cookies you will ever make! 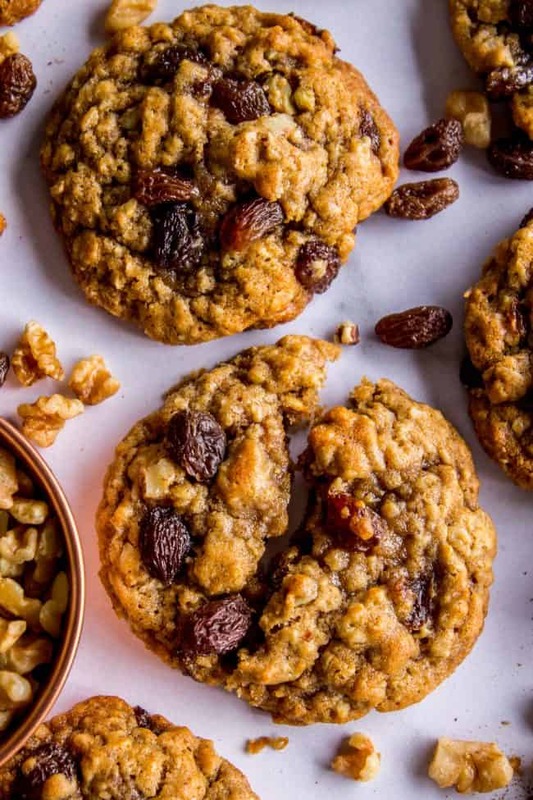 They are soft and chewy and I promise you will NOT be wishing those raisins were chocolate chips. (I know you) The trick is to plump the raisins in boiling water, and then add a bit of molasses to the cookie dough. It's to die for! You can make this dough ahead of time and freeze for later. Shape the dough into balls, seal in a ziplock, and freeze for up to 3 months. No need to thaw before baking; put them frozen into a preheated oven and add 2-3 minutes to the bake time. Once the dough has been frozen, there is not as much need to use spoons to smoosh them together, although you can if you want. More classic cookies you are going to love! 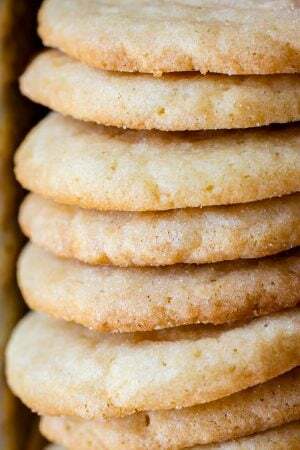 Texas Cowboy Cookies << these are one of the most popular recipes on my site! You will love all the mix ins. 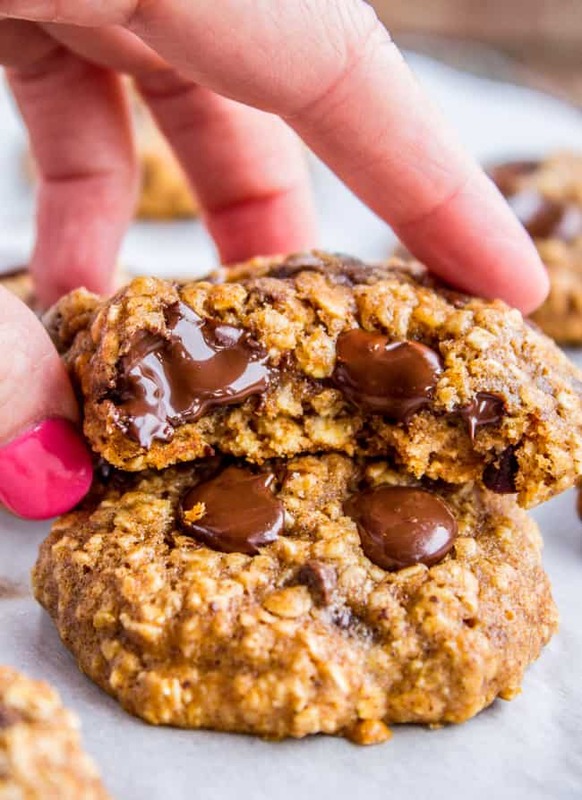 Skinny Oatmeal Chocolate Chip Cookies << another super popular recipe on the site. You guys love your oatmeal cookies! 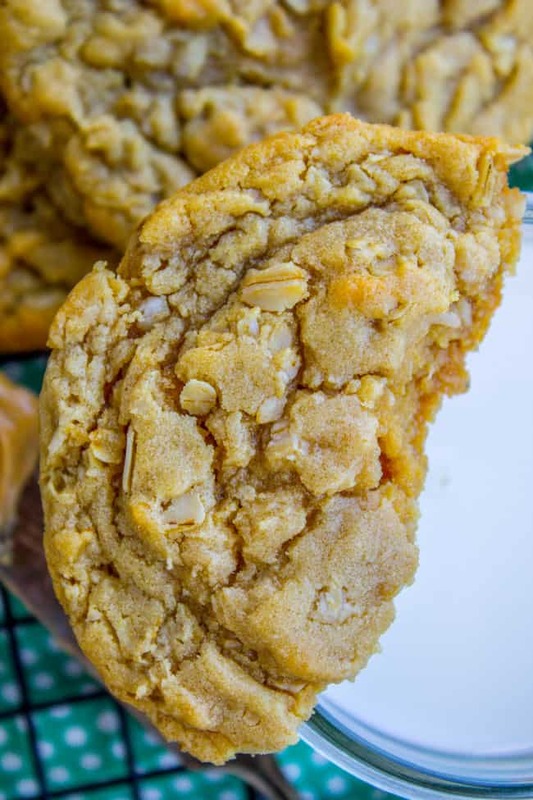 Chewy Peanut Butter Oatmeal Cookies << these are SO soft and chewy! I love them! 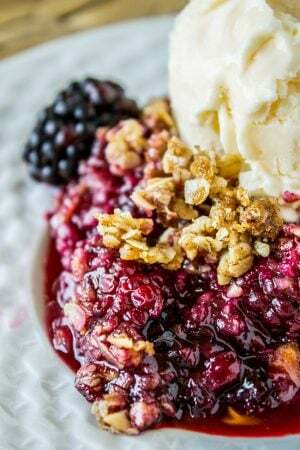 More Oatmeal Raisin ideas from other bloggers! These cookies are awesome. Nice and soft and chewy. Not crumbly. Took a little longer to cook in my oven but turned out great. Made a batch and cooked half yesterday. Baking more today. Dough is hard a little difficult to work with coming out of the refrigerator. Easier to roll balls first and then put in the refrigerator for chilling. Great tip Coleen! Thanks for commenting! I’m so glad you liked them. Instead of 1 cup of quick oats, can I use 2 cups of regular rolled oats? Thank you! Oh, my gosh! I actually took the plunge before you responded. These came out so truly incredible. 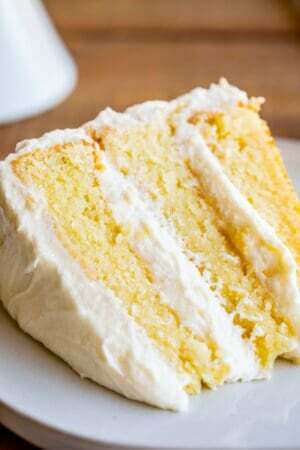 I am new to sweet-treat baking. 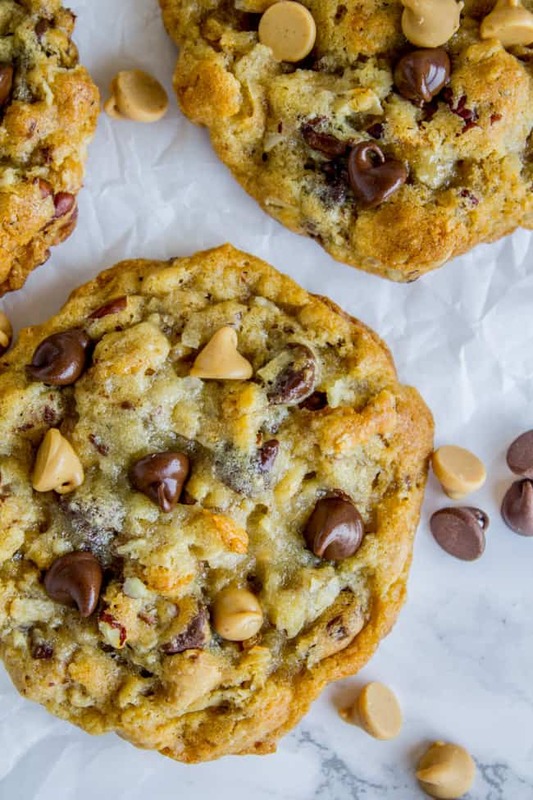 I have been looking for a great chewy and moist cookie recipe and this is it. I plan on using this method for other types as well. What are your thoughts on using spelt and coconut flour? I have a friend who is vegan and carb-conscious and I want to make them a batch too! Hooray, so glad the cookies turned out! I have never tried this with spelt or coconut flour, so it would be an experiment. Let me know how it goes! Would love to know what the book is called, sounds like my kind of book. And the cookies, definitely on the list to make. Hey Stefanie! It’s called The Well-Behaved Child by John Rosemond. He’s got some really good ideas in there! I’m a fan. I think it’s the kind of common sense parenting book that you can apply to the style you already have. hope you get a chance to make the cookies!! Thanks Lily!! I could eat a dozen!